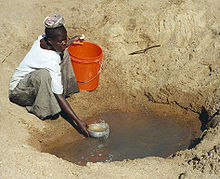 Waterborne diseases have significant contribution in total number of diseases around the world. Most of the developing countries governments around the world are still struggling to provide clean water to their people.This problem is much more severe in some parts of Africa. Today we will discuss how we can use solar energy to purify water. This would be great project not only for you as your engineering project but people whom life will change by your effort. In my research I found that it is extremely difficult to make water completely clean.Even, if we heat water to 100 degree Celsius(212 Fahrenheit), some bacteria’s would survive till 118 degree Celsius(244.4 F).Thus we would try to filter as much as we can using sun energy to make it less harmful. Sodis: Solar water disinfection is one of the most easiest method of water filtration. You just need to fill clean plastic bottles with water(somewhat filtered with traditional method like sand) and expose these bottles to direct sunlight from 6 hours to 2 days (depending upon the condition). Water will get mostly disinfected. Solar Water Purifier: It uses the concept natural fiteration of evaporation and condensation. When water gets heated with sunlight, it starts converting into water vapor which later condensed to get pure drinking water. Could you please tell me what are the potential problems that one may encounter with solar water purification methods?